This has reference to the front page article titled, “Taking a break,” in the Oct. 15 issue of the Lanthorn where Dean Antczak requests faculty to, “plan to give no reading, no assignments, no homework for the weekend before the drop deadline (Oct. 30), that is Oct. 24 and 25." 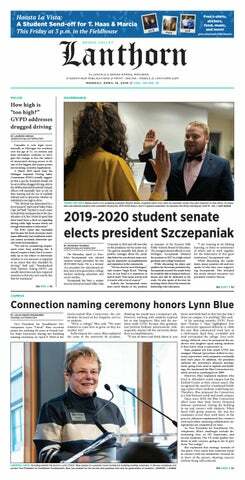 I commend Dean Antczak on taking a leadership role on the Fall Breather issue as well as his insistence that the amount of work during fall semester not be affected by the Fall Breather. Since I am concerned that some students may take Dean Antczak’s suggestion as a “get out of class free” card and just not show up for some classes the following week, I think it might be better to create an “official” Fall Breather and assign, for example, the Monday and Tuesday following the Homecoming weekend for that purpose. Such a Fall Breather could be “paid for” in one of following two ways. a. No make-up day for the lost Monday - Along with cancelling classes for Monday and Tuesday following the Homecoming weekend, we would need to restrict the Labor Day recess to Labor Day alone. This would result in students missing all classes on Labor Day – similar to what happens every Winter semester when we celebrate Martin Luther King, Jr. day on a Monday. The downside for students taking Monday classes would be that the remaining 13 Mondays would have to compensate for the material that would have been covered on this lost Monday. b. Make up the lost Monday - Alternatively, we could save this lost Monday (i.e., Labor Day) by completing classes on Monday of the current exam week with Tuesday through Fridays being the final exam days. In this manner, students taking Monday classes would not be required to complete material meant for fourteen Mondays in thirteen Mondays. The downside would be that classes would end on Monday and exams would start on Tuesdays, an occurrence familiar to those who take classes in the first session of Spring/Summer semester. Understandably, the final exam schedule would need to be adjusted so that students completing classes on Monday have their final exams, say, on Thursday or Friday of the exam week. So, students - the cost of a Fall Breather Monday and Tuesday following the Homecoming weekend is restricting the Labor Day recess to Labor day alone and (a) completing a 14-week Monday class load in 13 weeks or (b) completing a 14-week Monday class load in 14 weeks, with final exams starting on Tuesday of the current exam week. Which of these options appeal to you?